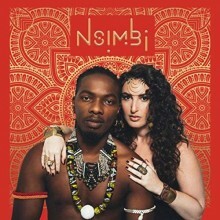 American-Ugandan power duo Nsimbi offer their debut onto the world stage with their self-titled album, Nsimbi. Hip-hop MC Zamba and American song-writer Miriam Tamar comprise this duo they describe as originating from ancient African insight in the form of Swahili proverbs. As Zamba explains, every song is based on a thread of those adages connected through the theme of human oneness and sociality. 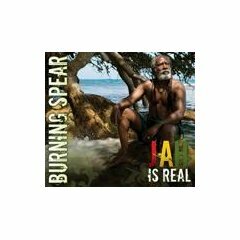 These networks, Tamar details, are then woven sonically via instruments from kalimba to kora into tight grooves that convey the message of hope and humanity. 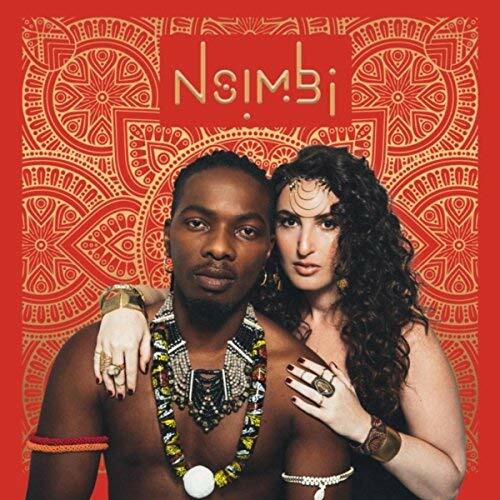 Nsimbi has diverse origins but the tracks share a sonic integrity, a sunny acoustic sound and a rhythmic intensity. 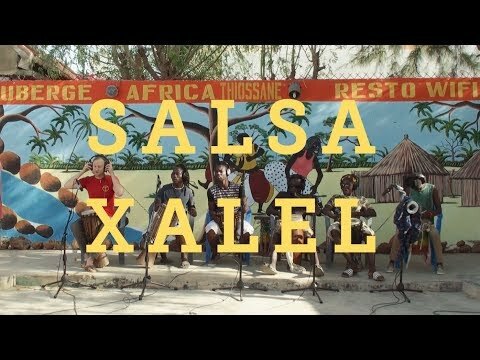 In music video for the first track, “Dunia Ni Matembezi,” we journey through the wondrous eyes of a schoolboy as he embarks on a trip through the desert after reading his favorite afro-future comic book, “Dunia.” He’s joined by a merry band of pranksters and vagabonds, who teach him about discovering the world through the five senses, a universal language that we all share. As the boy comes into contact with exotic landscapes and develops his perception of sight and sound, he finds connection and community with those around him. In this retro-future video, time is at a standstill, forever present, and travel is a state of mind. All of the contributor’s various styles glimmer throughout the album. Tamar’s singer-songwriter instincts lay the groundwork for “Gonna Be Alright,” Zamba’s hip hop roots offer age-old griot wisdom on “Flower of the Heart,” US-based Ugandan multi-instrumentalist Kinobe offers his expressive kora on the refugee-themed “Forsaken,” and Congolese-born soukous guitarist and singer Jaja Bashengenzi imprints his own style on multiple tracks overall. The day used to end the same way around the world. After the work was done, families and communities would gather around a fire, where they would sing, dance, tell stories, and distill learning into proverbs. Thanks to Nsimbi, we are able to capture that magic of long-ago and instill it into our modern existence. With Nsimbi, the fire that brought us all together burns eternally. 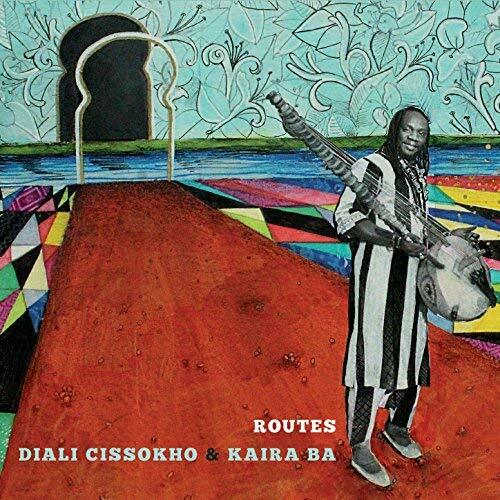 Building a bridge across the Atlantic, Routes is a collaboration between Sengalese kora master Diali Keba Cissokho and his band Kaira Ba that links North Carolina to M’bour, Senegal—where the tracks were recorded in a rattan-paneled hotel room overlooking the ocean. Cissokho, who was born into a family of griots and can trace his musical linage back to 16th century Mali, relocated to North Carolina after marrying an American student of Sengalese music. There, he connected with a quartet of local musicians including drummer Austin McCall, percussionist Will Ridenour (who also plays djembe), Berklee-trained jazz guitarist John Westmoreland, and bassist Jonathan Henderson—an ethnomusicologist well versed in jazz and afro-diasporic styles. Working together to create a musical language that combined elements of these multiple traditions, the group transformed into Kaira Ba. One of the unique aspects of Routes is the wide range of contributing artists from both nations who lent their talents to this project. As the tracks were laid down in Senegal, Cissokho invited numerous friends and relatives to contribute to the mix, including a group of drummers who set up in the courtyard. Once the band returned home, they overdubbed instrumental and vocal tracks using a variety of well-known local musicians. Their goal, to “tell the story of these two places Diali has called home,” has certainly been realized through this expanded musical palate and community spirit, while the aural soundscapes of each location also enter the mix. 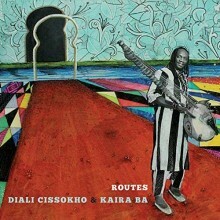 The album closes with “Night In M’Bour,” featuring a collage of sounds recorded during an evening in Cissokho’s home town, including a traditional sabar drum ensemble and fula flute solo, then concluding with the night crickets of M’Bour—a bookend to the opening soundscapes of North Carolina. Routes is the perfect showcase for Kaira Ba’s unique fusion of Senegalese and American musical traditions, as well as a demonstration of cross-cultural collaboration and mutual respect between band members who welcomed an immigrant to their community. 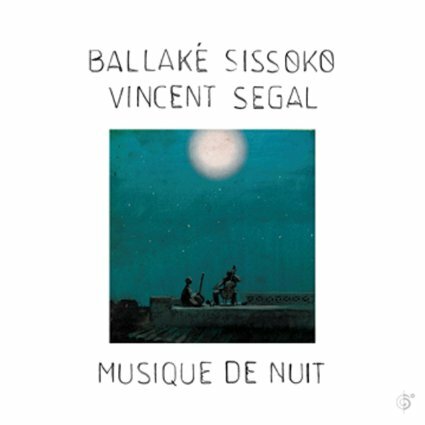 Ballaké Sissoko and Vincent Segal’s brilliant Musique De Nuit is the meeting and melding of two minds and musical instruments into singular musical beauty. The title Musique De Nuit translates to either “Music For Night” or “Music Of Night.” Since the advent of 20th century pop culture, night is no longer understood by most in the US as the stuff of poetry or time for quiet contemplation. Very few Americans still “howl at the moon,” much less contemplate its magnificence. Night is now the time for Dionysian living or for staying home to rest, perhaps watching television. Maybe night is thought of differently in France and Mali, or perhaps these two musicians both believe that night should be lived differently—this album is much less about lavish living than it is about restraint and contemplation. This is music for an Apollonian night, full of work and ardor a listener would imagine working towards a grand goal. Overall, the tempos of these songs are very slow, especially “Musique de Nuit,” recalling the kind of cello playing that listeners may associate with symphonic music. We also hear the kora in all of its splendor; Sissoko’s masterful Kora playing will certainly remind listeners of the beauty to be found in acoustic music. This is the duo’s second release, following their first entitled Chamber Music (2011). 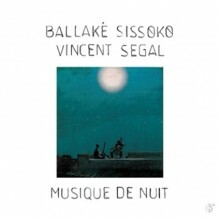 As was the case on the duo’s debut, Ballaké Sissoko and Vincent Segal are musicians of two different races and cultures: Sissoko is a black Malian man and Segal is a white French man. Segal is a conservatory bassist and cellist and Sissoko came to playing the kora as most young griot musicians do, through his well-known griot father Djelimady Sissoko, beginning his profession at a very young age. As a griot, Ballaké Sissoko plays music that is much closer to European troubadour music than it is to classical, baroque, or any music that one imagines that a conservatory-trained cellist would be most accustomed to. Though Segal might be familiar with troubadour music, he is certainly not a troubadour. Musique De Nuit’s most impressive track is the awesome composition “Super Etoile,” which is highly rhythmic and features amazing cello lines. “Balazando” has a phenomenal beginning and, like “Super Etoile,” its strength lies in the beauty of the composition, even though the playing of both musicians is also superb. It sometimes sounds like one is listening to more than two musicians, in part because of Sissoko’s Kora playing. How can one man playing one stringed instrument make so many sounds? The album’s opening track “Niandou” will feel the most familiar to fans of traditional Malian music, building from a quiet introduction into intricate polyrhythm. “Prelude”also amazes. It might be useful to think of this album as representing the founding of a new musical genre, or perhaps as an etude into new music. The first jazz musicians, for example, did the same: creoles and Blacks picked up instruments and played what eventually became categorized as a new genre. There is a wideness and heaviness to the cello’s sound that is so unlike the svelte tones of the Kora; how it is that these two musicians melded the two instruments without something else—for example, a drum—is the real question. What’s worse is that one could easily imagine that these two musicians could have continued their careers without one even having met the other. That they pulled this off is the stuff of musical history: the troubadour music of traditional Malian civic life meets the cello of European art music and produces pure musical beauty. Thus, these are sounds to feel and to object to, reject, or plunge one’s self into. The final option is the best choice, and one can only hope that this duo inspires other cello and Kora players do the same. Concha Buika is a Spanish artist of African descent. Born on the island of Majorca, her parents were refugees from Equatorial Guinea. Though extremely popular in Spain, Buika is just beginning to garner international attention for her unique brand of flamenco fusion. Niña de Fuego, her third album, recently received a Latin Grammy nomination for Album of the Year. Possessing a uniquely husky voice, Buika takes on the Spanish copla, then adds some ranchera songs along with several new songs she composed in collaboration with Javier Limón, who has produced some of flamenco’s biggest stars. 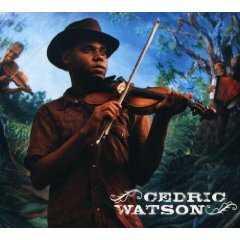 Watson is an accomplished fiddler from Louisianna (via Texas) who specializes in reviving old Creole fiddling styles while striving to make this music accessible to new audiences. He honed his skills while playing with Dexter Ardoin and the Creole Ramblers, Jeffrey Broussard and the Creole Cowboys, and most recently the Pine Leaf Boys. On his self-titled new release he offers up a number of new songs that he composed, including “Cedric Zydeco,” “TexaCreole Two-Step,” and “Zydeco du Violon,” along with his own arrangements of traditional tunes such as “La Valse de Grand Basile” and “La Vieille Chanson de Mardi Gras.” In addition to fiddle, Watson also pitches in on accordian and vocals, and is assisted by Jeffrey Broussard on electric bass, Chas Justus on electric and acoustic guitar, and Corey Ledet on scrubboard and triangle, among others. 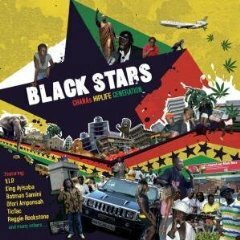 This compilation documents the development of hiplife, a hybrid form of hip hop and highlife that emerged in Ghana in the 1990s. The music draws on various international forms- including American and Jamaican hip hop, R&B, Afro-Cuban jazz, dancehall, ragga and reggae- while incorporating indiginous Ghanian languages (rapping in Twi), styles and instruments, such as the two-stringed kolgo. Featured artists include Reggie Rockstone (known as the “Godfather of Hiplife”), Tic Tac, Batman Samini (“King of African Dancehall”), King Ayisoba, and Ofori Amponsah, along with several artists representing the London diaspora. 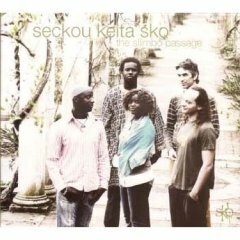 Senegalese-born Seckou Keita, also known as the “Hendrix of kora,” fronts this UK-based quintet, which also features his sister Binta Suso on vocals and his brother Surahata Susso on drums, along with Egyptian violinist Samy Bishai and Italian bassist Davide Montovani. Intent on expanding the traditional range of the kora, Keita experiments here with new tunings while also drawing upon his griot roots and incorporating a vast range of African and international influences.